When Hurricane Florence hit the East Coast, the biggest danger wasn’t just the winds but the flooding that came afterwards. 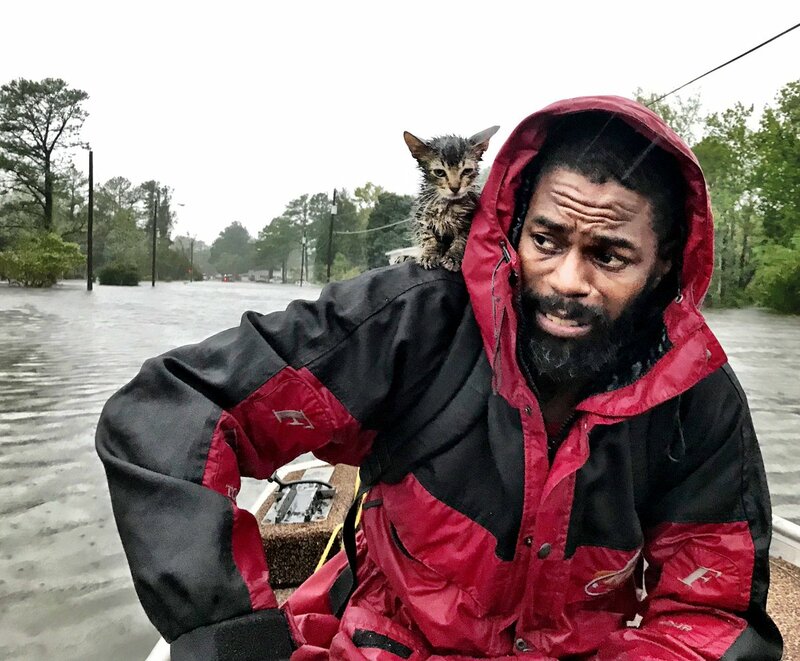 When flood waters reached waist deep levels, Robert Simmons waded out to a rescue boat with a kitten clinging to his shoulder. The kitten, nicknamed Survivor, clung to Robert until he reached a boat that whisked both of them away to safety. Hopefully Robert and his kitten have found a shelter to stay in until they can go back home. Until then, at least the kitten survived the floodwaters so we can hope that everything will be all right when they return. To read more about the man who rescued a kitten from the floods, click here.